Since graduating from William Paterson University in 1991 with a B.M. 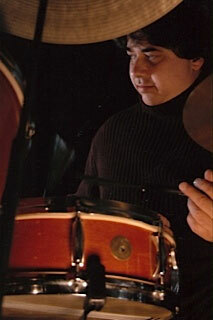 in Jazz Studies and performance, Nick has established a career as a highly respected Jazz drummer and percussionist. His expertise in early Jazz, and bebop styles, as well as Afro-Cuban music has enabled him to perform and/or record with some of the most notated artists in each genre. Among them would be: Grammy and Pulitzer-Prize winner, Wynton Marsalis; honorary Doctorate recipient Wycliffe Gordon; Latin Jazz legend, Ray Barretto and many others. Nick has toured extensively and recorded for film with The Paragon Ragtime Orchestra- a premiere American Orchestra founded at the Juilliard School and having the distinction of serving as Ambassador of Good Will for The United States. He has performed at Lincoln Center, Birdland, The Village Gate, Café de Muze (Belgium), Aaron Davis Hall, John Harms Center, Mechanics Hall, and other noted venues throughout America and Europe.